Kim Bottomly, a renowned immunobiologist and former deputy provost at Yale University, is Wellesley Collegeâ€™s 13th president. In her role as deputy provost for science, technology and faculty development at Yale, Bottomly was responsible for an array of academic, administrative and budgetary activities across many departments and divisions. She also initiated and oversaw efforts to enhance faculty career development and was instrumental in Yaleâ€™s efforts to recruit and retain women in the sciences and underrepresented minorities in all fields. A lifelong scientist and educator, Bottomlyâ€™s research has focused on the molecular and cellular factors that influence the initiation of immune responses. She has pioneered studies defining cellular changes associated with allergic and asthmatic responses. Her research has investigated how people respond to allergens and why inhaled allergens lead to lung injury. She has been the principal investigator on five grants from the National Institutes of Health, as well as other research grants, which together supported her 16-person laboratory at the Yale Medical School. She has written more than 160 peer-reviewed articles and has lectured widely at universities in the U.S. and around the world. In 2009, Bottomly was elected to one of the nationâ€™s most prestigious honorary societies and center for independent policy research, the American Academy of Arts & Sciences. She was among the AAAS's 212 new fellows and 19 foreign honorary members, all leaders in the sciences, the humanities and the arts, business, public affairs and the nonprofit sector. The current AAAS membership includes more than 250 Nobel laureates and more than 60 Pulitzer Prize winners. Bottomly has served as a member of the Immunobiology Study Section at the National Institutes of Health, has been appointed to the Advisory Council of the National Institute of Allergy and Infectious Diseases and has been a recipient of the highly selective National Institutes of Health MERIT award. She has been editor as well as associate editor of the scholarly journal, Immunity, and a section editor and associate editor of the Journal of Immunology. 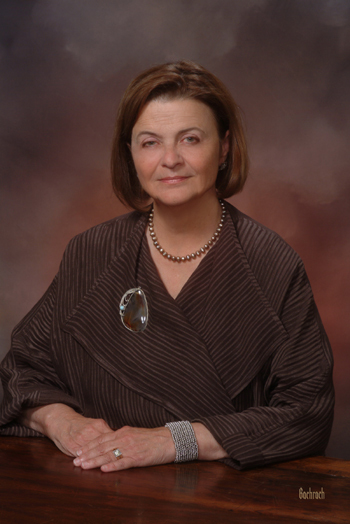 Her memberships in professional societies include the American Association for the Advancement of Sciences and the American Association of Immunologists. In addition to serving on and chairing many appointed and elected committees of the American Association of Immunologists, she was the distinguished lecturer at its 2004 annual meeting. She has served on many scientific and medical advisory boards and as a consultant to a number of large pharmaceutical companies. She has served as chair of the Committee on Status of Women of the American Association of Immunologists, as chair of the Women's Committee of the Federation of American Societies of Experimental Biologists and as a member of the steering committee of Yaleâ€™s Women Faculty Forum. In 2008, she was named one of the University of Washington's 100 most remarkable alumni. Bottomly is married to Wayne Villemez, a professor of sociology at the University of Connecticut. From an earlier marriage to the late Charles Janeway, she has two daughters, a stepdaughter and twin granddaughters. She assumed the full duties of president on Aug. 1, 2007, following the 14-year tenure of Diana Chapman Walsh, which ended June 30, 2007.